Well-informed professionals understand how crucial it is to have breakthrough presentation projector technology readily available to them from a veteran rental company like Rental Projectors. Utilizing mediocre DLP or LCD projectors can prove harmful to the success of their company and the how they are viewed individually in terms of professionalism by their business associates, colleagues and potential investors in Connecticut. Choosing to present your imperative data in CT using a presentation projector from our experienced and dedicated rental company, ensures that you and your company will always be seen in an esteemed and professional light in the state of Connecticut. It can be detrimental to your presentation rental experience and professional success to think that all audio- visual rental companies are created equal. Many online presentation equipment rental companies are experienced in renting projectors for any type of use or event but our company is the only single-focused LCD projector company that is exceptionally skillful in the art of maximizing the potential of DLP projectors for successful business presentations and corporate events in CT. We know the ins and outs out of this overwhelmingly technologically advanced business age and we have crafted our company and have dedicated our resources to help business and career professionals in Connecticut and all across the United States, take this technology infused business era and turn it into a dynamic ally and advantage for their professional success. 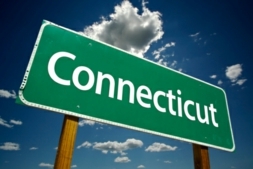 It has been proven time after time that our unique and unparalleled team of renting specialists has proven to be a momentous partner in our clients’ success when presenting in Connecticut. Having a dedicated team of expert renting specialists by your side when gearing up for your potentially career changing presentation, tradeshow or other corporate event gives you a game changing tool and advantage, not to mention a level of preparedness and confidence that is highly influential in the performance and success of your LCD projector presentation in CT.
You never again have to worry about being burned by subpar projector equipment and outrageous projector equipment prices when you align your professional image with the unrivaled experts at RentalProjectors.com. We only carry the most advanced, high performing, up-to-date line of presentation rentals in our colossal inventory of LCD and DLP projectors. We have prided ourselves for over twenty years on only providing our clients and potential clients alike in Connecticut and all across the country with the absolute best projector equipment and unmatched renting specialists for their professional success and we will never cease to become better and better.